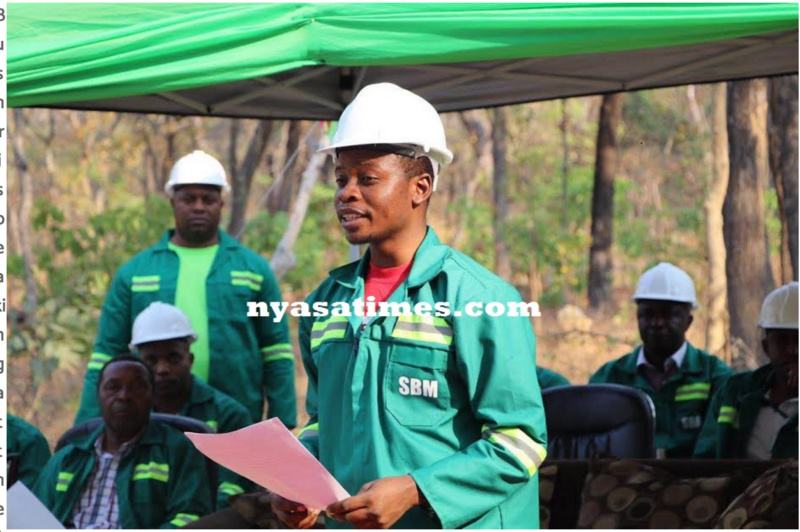 The leader of the Enlightened Christian Gathering (ECG) church, Prophet Shepherd Bushiri, was in Zambia on Tuesday where he launched his mining company – Shepherd Bushiri (SB) Mining in Ndola. The Billionaire Prophet is also expected to officiate the launch of his mobile company called PSB Network this weekend in Johannesburg. The mine, located in the outskirts of Ndola is a joint venture between Shepherd Bushiri and Malabwe Mines Ltd, with Bushiri as the major shareholder. Malabwe Mines has been in existence for some time but it was dormant for a long period due to non availability of necessary funds to sustainably spearhead the mining operations. “Our friends have been there for long but had financial challenges and that is the reason they approached the Shepherd Bushiri Mining few months ago for financial assistance (as an investor). The result is this venture in the name of Shepherd Bushiri Mining being here,” explained Nicholas Muluzi, Project Manager for Shepherd Bushiri Investment. According to Muluzi, Shepherd Bushiri Mining Ltd also owns a number of mines across Africa with more mines being in Tanzania. “Our focus now is to uplift this mine with full force to achieve our goal and among others, we have dewatered the pits which were flooded, and are now are dry. All moblization has already been carried out such as to enable outright commencement of operations,” he explained. The mine is estimated to produce a minimum of $10 million USD a month. According to Muluzi, this particular mine is expected to produce a number of minerals including emeralds. According to the mine documents, the whole mining area and expected minerals is valued at $1.2 billion USD. Speaking during the ceremony, his Royalness Chief Lumpuma thanked Prophet Bushiri for following all the necessary procedures to commence the project. He explained that he has always been cautious with people coming to mine in his area who lacked proper papers from the Zambian government. Addressing the mine workers and people that gathered at the event, Prophet Bushiri assured them of good working conditions and better social responsibility in that order. He then anointed the place and prayed for everyone who was present at the event.